Are you still hosting your own e-mail? Is it on Microsoft Exchange? Are you maybe a little sick of that? What if you could outsource some of those pesky infrastructure problems to the cloud? Well, of course, you can. Microsoft Office 365 would love to help you with that. Catch a ride on board the mail migration rocket on this episode of the Datanauts podcast. Our guest is Theresa Miller. She’s founder of 24×7 IT Connection. She’s a consultant and analyst, and she also blogs and hosts the Current Status podcast. 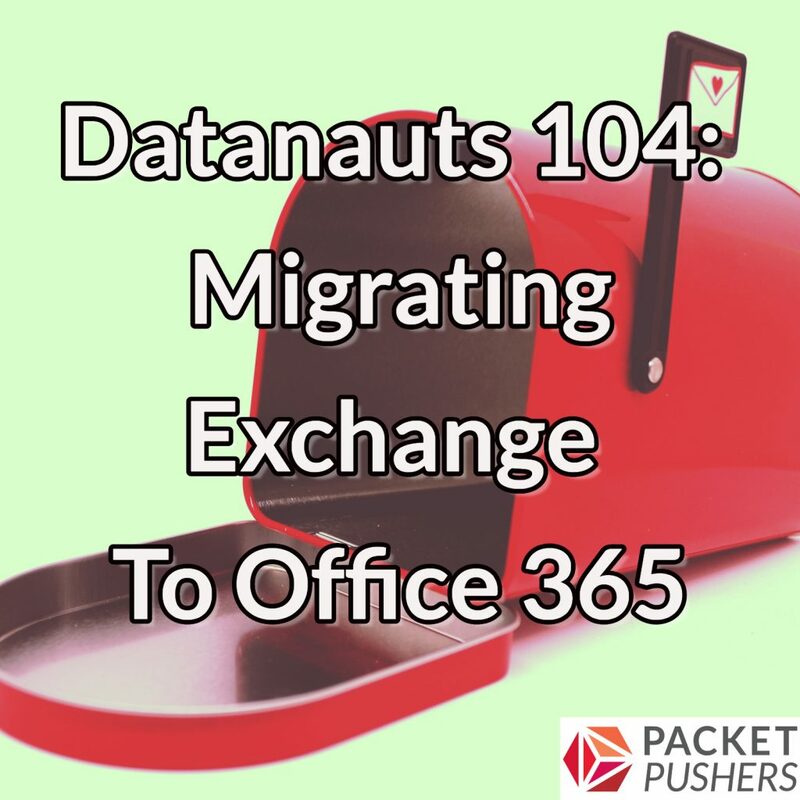 Theresa and the Datanauts examine the business case for, and technology implications of, migrating from on-premises email to a cloud service. They also look at the migration process and its impact on users, and discuss the operational challenges of co-existence when IT is managing both the premises system and the cloud service. Join LiveAction and Ethan Banks for a live Webinar on Thursday, October 26th to learn how to reduce the complexity of SD-WAN technology adoption, provide service assurance governance with proactive insights, and deliver the promised performance enhancement for a better application experience. Register here today and mark your calendar to join us on October 26th at 2:00 pm Eastern. Another good and auspicious episode. Our company went O365 entirely. Since we were a small company we went directly to O365 from a mish mash of standalone Office apps, Dropbox and Google apps. With no IT team everyone basically fended for themselves. O365 has been great for us, we leap-frogged having to run our own infrastructure. We don’t deal with servers, SANs, DASs, backups and restores. O365, Skype4Biz, Sharepoint and OneDrive is all a company of < 100 really needs. But, I see a good opportunity for people to wrap consulting and management services around it. I'm proposing a future show on this topic. Maybe a comparison between the Microsoft offering vs. Google vs. Dropbox vs. iCloud, etc. Lots of recent entrants in the space, although not all comprehensive. Will ponder. I definitely would support getting a comparison episode. The big fortune 100 and government entities holding out are due to the unknown/security/TCO.